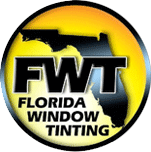 For custom window tinting service that goes above and beyond, turn to Florida Window Tinting. Our team handles car, truck and boat window tinting as well as auto paint protection, vinyl signs, security film and simulated etched glass services in Lake Park and the surrounding areas. No matter what service you need, you can trust us to pay close attention to the details of your project to create the custom tints you want. Call 561-842-1190 to get the professionally designed custom windows you want for your Lake Park, West Palm Beach or Palm Beach Gardens, FL vehicle or property. Why should you get your windows tinted? Regardless of why you want customized window tints for your personal or office space, you can count on us to deliver outstanding results. Contact our office in Lake Park, FL for more information about our commercial window tinting and residential window tinting services. We’ve been providing quality window tints since 1978. We specialize in DC and Manhattan-style commercial window tinting. We’ll meet and exceed your expectations by providing a budget-friendly solution. The answer to your window tinting dilemma is simple: turn to Florida Window Tinting to get the results you want. Schedule your window tinting in the Lake Park, Palm Beach Gardens or West Palm Beach, FL area by contacting us today. Copyright © 2019 Florida Window Tinting, all rights reserved.